History: Habutai is Japanese. Habutai means “soft as down” in Japanese. 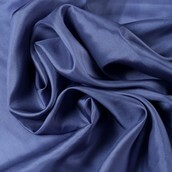 Extremely soft, fine, light and lustrous fabric, usually in a plain weave. Habutai is more often left a natural ecru and can be slightly irregular in its fibers. Type of Fabric Construction: Originally hand woven of single warp yarns and filling yarns of hand-reeled silk, which made it slightly irregular. History: Organza is a balanced plain weave similar to organdy in that it is crisp and very sheer, but it is not quite as stiff as organdy. 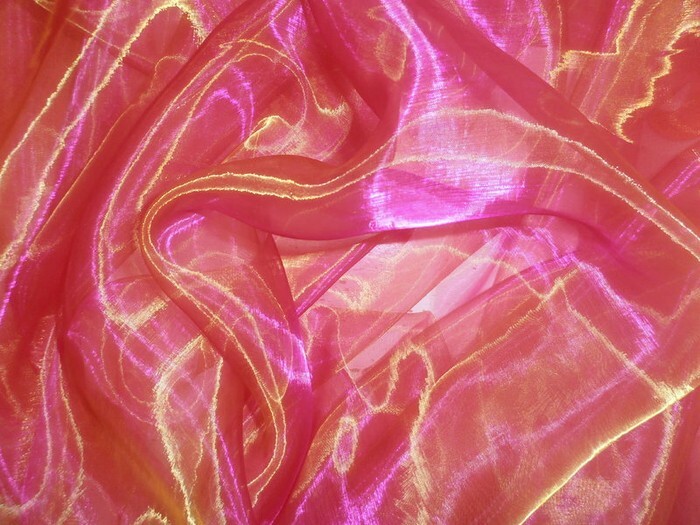 It is also made of filament silk (or nylon, polyester or rayon) instead of cotton. When made of silk, the stiffness comes from the natural gum that remains on the filaments, while manufactured fibers require a finish. 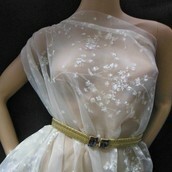 Organza is often used as a ground for embellishment such as embroidery, cut-work embroidery, and tufting (achieved in the weaving process) or flocking. 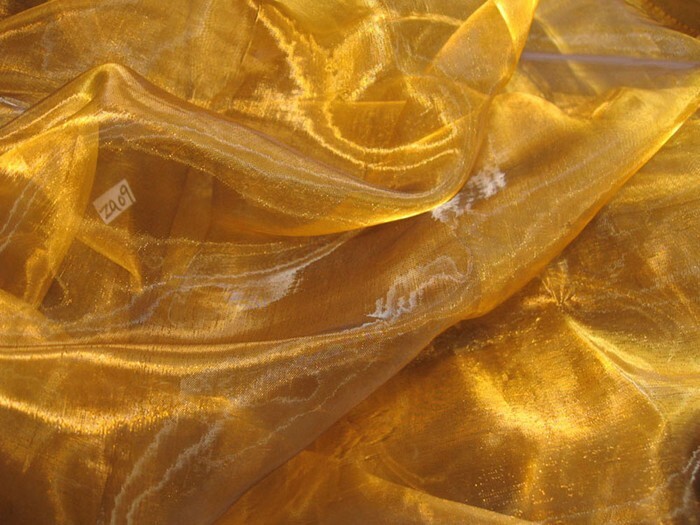 Type of Fabric Construction: Athough many organzas are woven with synthetic filament fibers such as polyester or nylon, the most luxurious organzas are still woven in silk.